How Do We Sum Up Our Cruise from England to the Faroe Islands to Iceland, & to Norway? One word, WOW! In Germany, we have 6 weeks of vacation! That is such a wonderful benefit, especially for Amanda and me as we want to see as much of Europe as possible in our 2-3 years here! We had taken our first cruise a year ago in the Caribbean, and since I did not get motion sickness, we knew we could do more. And, we learned that cruising is great, because you unpack your luggage one time, and the ship takes you around to so many beautiful places! We also wanted to take an extended vacation since this was our 10-year wedding anniversary. We initially thought about sailing in the Mediterranean, but the sailing schedules did not quite work out the way we wanted for the last weeks of June into the first week of July. We saw a cruise that fit perfectly into our schedule in the North Atlantic, researched pictures of Iceland and Norway, and we were hooked! Since our cruise was departing from Harwich, England about an hour train ride to the east of London, we decided to add a weekend in London as part of our holiday! After our weekend in London, we made it to the port in Harwich that was very easy to get to from London by train. The train stop is basically at the cruise dock. 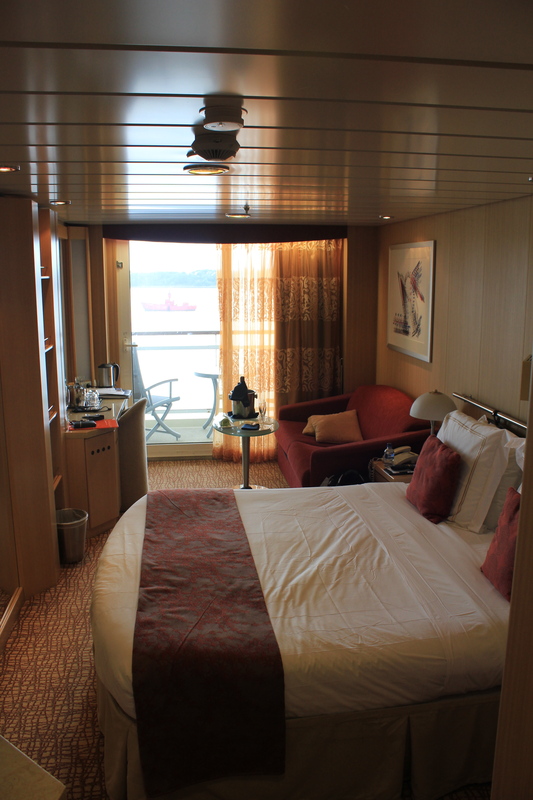 We sailed with Celebrity Cruises, and were VERY pleased with the ship, the people, and the service! Top Notch!! 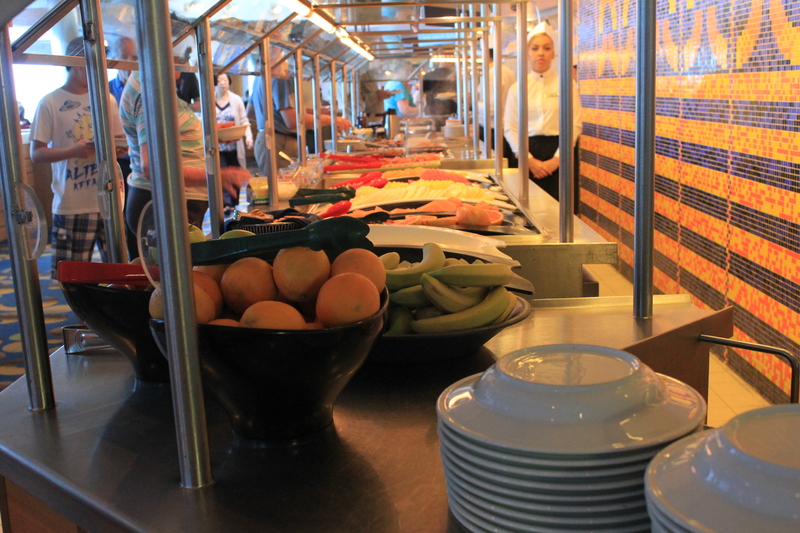 Our other cruise line experience was with Holland America, which is on par with Celebrity. 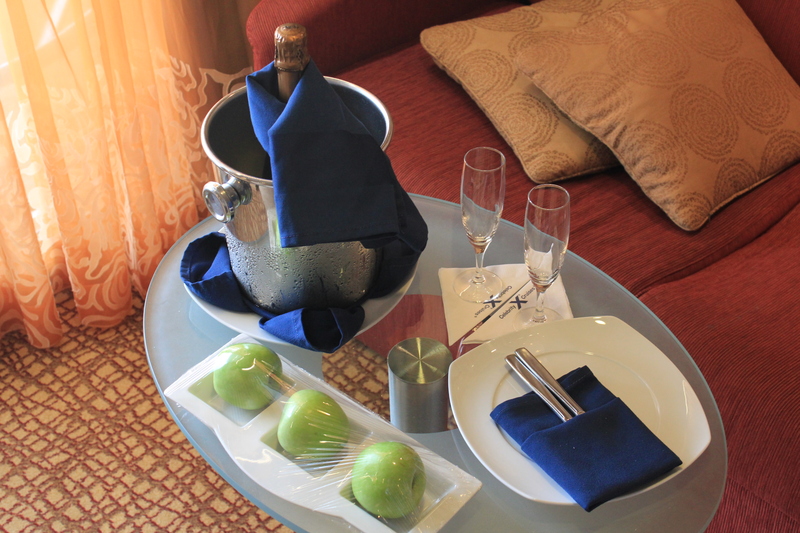 The following was our cruise itinerary, and I have a blog post for each of these destinations…. Day 1: We left Harwich on the late afternoon of Monday, June 24th, 2013. Day 2: Was a day at sea. We thought sailing through the North Atlantic that the sea would be rough, and therefore would feel it on the ship. However, the motion was not too bad, but then again, the weather was nice too. Basically, this day was spent at the spa, the pool, and exploring the ship. Day 3: Our first port of call was the Faroe Islands. The Faroe Islands are made up of 18 main islands, and are about 140 miles north of Scotland in the North Atlantic Sea, and is about halfway between Iceland & Norway. Technically belonging to Denmark, the Faroe Islands is its own country. Days 5 & 6: Our next port of call was Reykjavik, Iceland. Our ship was docked here over night for two days. Iceland is such a beautiful country. The scenery is just breathtakingly amazing. Day 7: If you love nature and scenery, then Iceland is the place to visit. We sailed from Rekjavik around the western side of Iceland to the very north to a town called Akureyri (Ak u ray ri). We were within 50 miles of the arctic circle, and the weather was fantastic!! Day 8: Day at Sea. The cool thing about this day, we cross the Arctic Circle on our way to Norway. On our whole trip, we only had a few hours of night time, but once you cross the Arctic Circle, the sun never sets in the evening. CRAZY!! Days 9 & 10: We spent two days in two different areas: the first we traveled 10 miles inland into a fjord to he town of Geiranger, and the next in the City of Bergen both in Norway. Fjords were formed as the glaciers receded from the ocean. So, they are long, winding mountain passes that the ship goes into. It is other worldly as the ships are in the middle of the fjord. In Geiranger, we took an excursion to the top of the mountain above our cruise ship to the highest elevation in northern Europe (5500 feet above sea level). In Bergen, we decided to explore the city on our own, visiting the fishing wharf area. This day was the only day on our cruise, where it rained. But, other than preventing some picture taking it wasn’t too bad. Day 12: We arrived back in our starting port of Harwich, England. We had to say our goodbyes, and board our train for Heathrow for our return flight back to Germany. Cruising may not be for everyone, but it is a fantastic way to see many ports of call, while having a place to sleep and meals included on board. The ship-sponsored excursions are great, even though some stops may be a little rushed, especially if multiple cruise ships are in port. But, all being said, we love it, and are already planning our next one to Greece & Turkey in October!! Fantastic pictures, Chad!! I can’t imagine how beautiful it is being there!! Thank you for the journey!! I love it! !